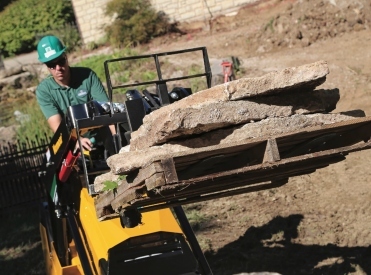 Designed according to customer input, the Vermeer family of mini skid steers fit into small spaces and are lightweight enough to use on most landscape surfaces. Intuitive joystick controls are easy to master, and several industry-leading safety features help protect the operator. Available in track-driven models, these highly productive skid steers maneuver easily around tough worksites and reduce workloads in the process. Plus, our versatile line-up of attachments will help you tackle your next job.